Got the basics? This is the improvers course for you! 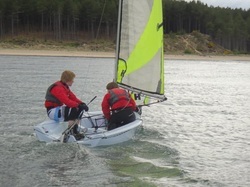 This course was added to the national sailing scheme in 2010, specifically to help people consolidate their skills before going on to the more advanced modules. The course has the flexibility to be tailored to your needs, allowing you to become more confident in your skills and techniques.